It's spring here in the Wasatch Mountains - finally! The mountain tops still have snow and our cabin still has a lot of snow, but town is beautiful and green. This watercolor for my #100ImaginedLandscapes was inspired by a hike in town with a dear friend. All proceeds of my watercolor sales right now are going to help Save Bonanza Flats. 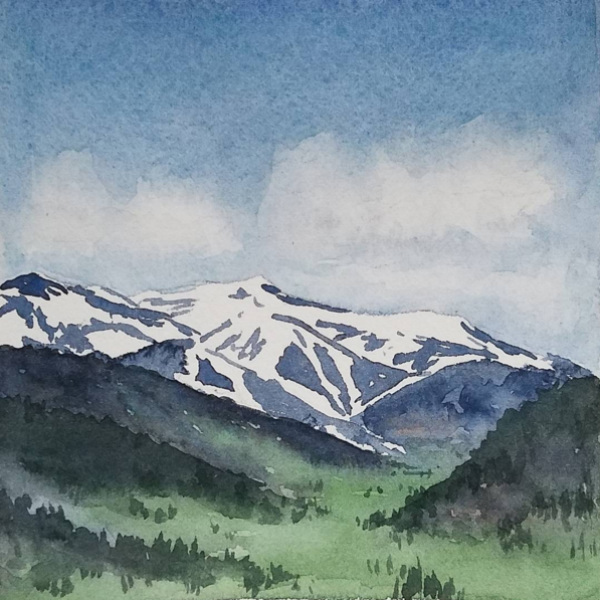 Find my available watercolors for sale over at my Etsy page - BridgetteMeinholdArt.Etsy.Com - they are only $40 each and all the money goes to help save this beautiful bit of open space.